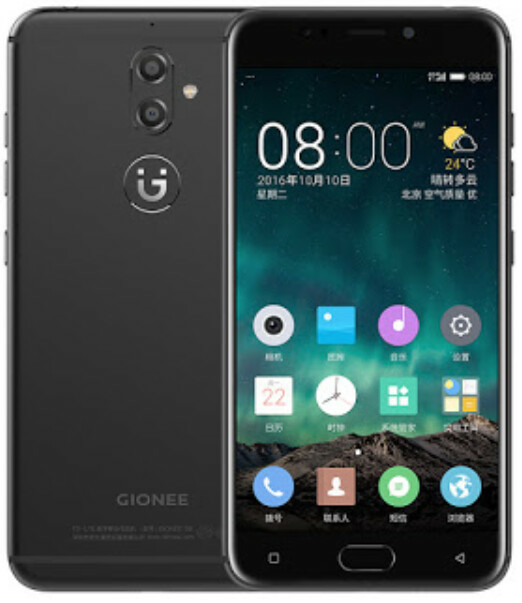 The Gionee S9 is now official this morning Gionee S9 was officially unveiled. The company's latest handset features a Gorilla Glass 4 protected 5.5-inch screen with a resolution of 1080 x 1920. A MediaTek Helio P10 chipset (MT6755) is under the hood with an octa-core 2 GHz CPU and the Mali-T860 GPU MP2. 4GB of RAM is inside along with 64GB of native storage. A dual camera setup on the back (13MP and 5MP) and a front-facing 13MP camera treats selfies and video chats. A fingerprint scanner embedded in the home button, and a quick charge 3000mAh battery keeps the lights on. The Dual SIM enabled phone runs Amigo OS 3.5 on top of Android 6.0. The Gionee S9 is 7.4mm thick, with a weight of 168.2 grams. The handset will start to be available in China on November 25 in Black and Rose Gold. It is priced at the equivalent of $ 364 USD.